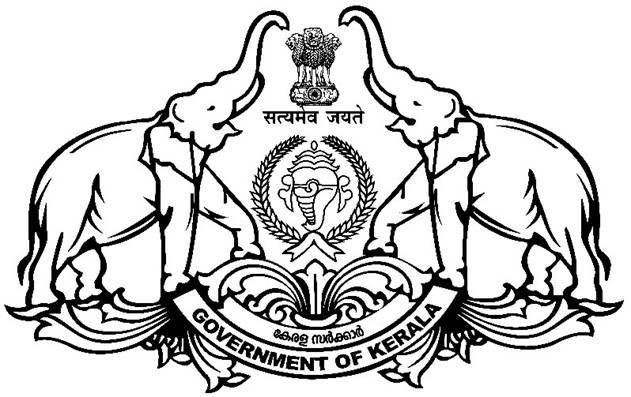 Theyyam is one of the folk arts in North Kerala. Theyyam is believed to be Dravidian. 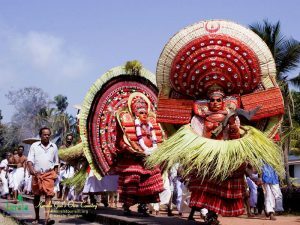 From Payangadi river to north it is known as Kaliyattam and from Payangadi to Valapattanam,it is known as theyyam for very little variety. 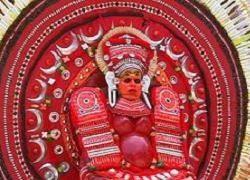 Theyyam is the conecpt of performance of goddess. 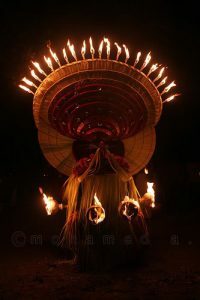 Performance of theyyam is known as Theyyattam and the appearance with costume is known as theyyeyakolam. The insistence of pilgrimage involves the mantra ritual, strategic ritual, ritual ritual, and foul ritual. They are mainly Mother Gods (eg Muchchil Bhagavathi). Also, the heroes are also worshiped as Thayyas (Kathivanoor Veeran). It is said that there are about 500 theyyams. However, it is usually a hundred and twenty theyyams are generally performs. There is a harmony between the tree worship, the mountain worship, the worship of the god, the worship of evil, the Siva and the Vaishnava worship, and the Theyyam. They are derived from the word ‘God’, says Hermann Gundert. Theyya’s performance is theyyattam. Chelanad Achutha Menon says that they can be Theyya’s dance or a flame of fire. In Tamil, taivam is the equivalent of the voice of God.